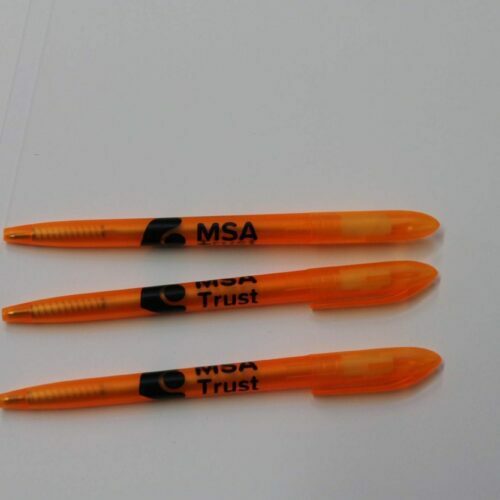 Striking in appearance, our MSA Trust badges are ideal for wearing with formal or casual clothing. 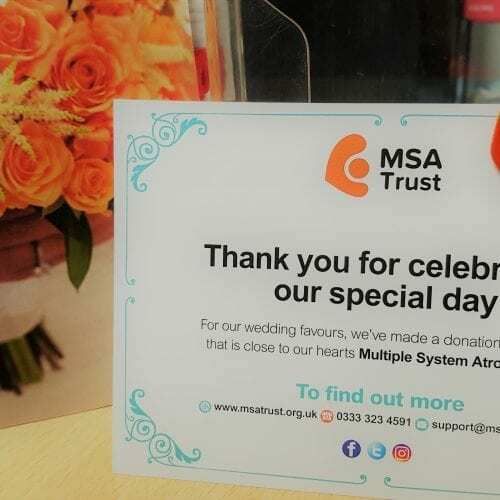 Do you have big occasion coming up? 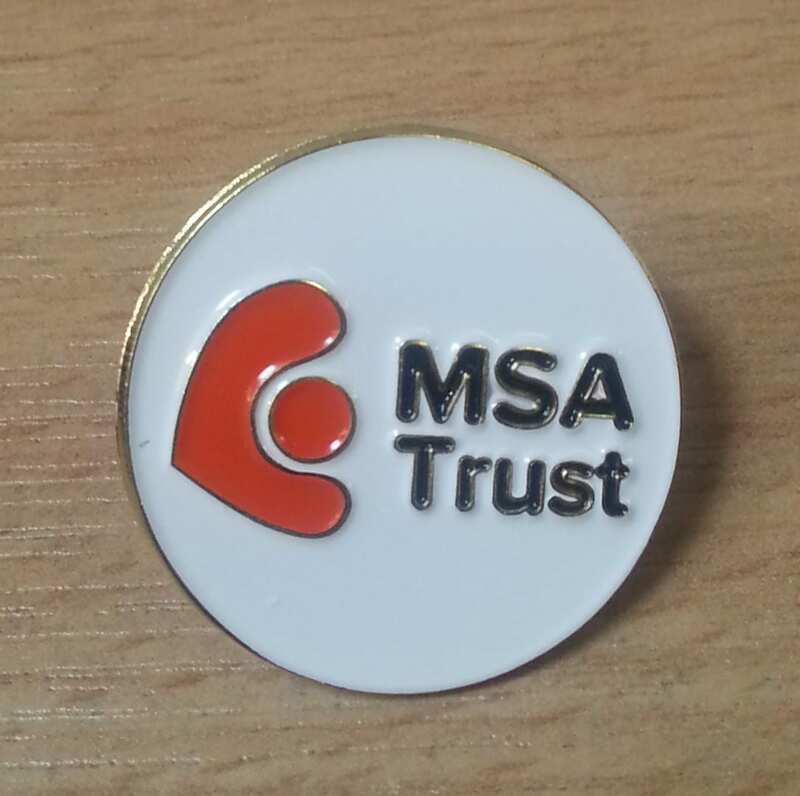 Order our pin badges as a great and meaningful return gift. 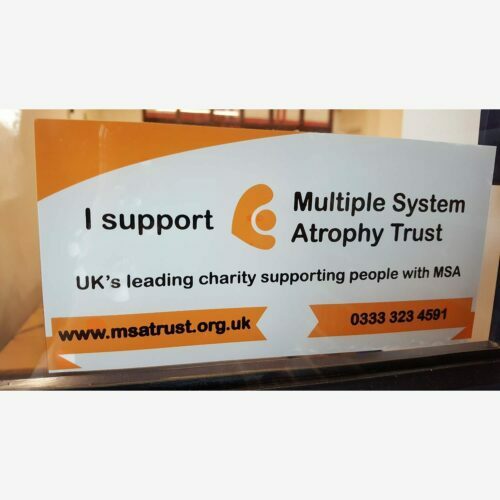 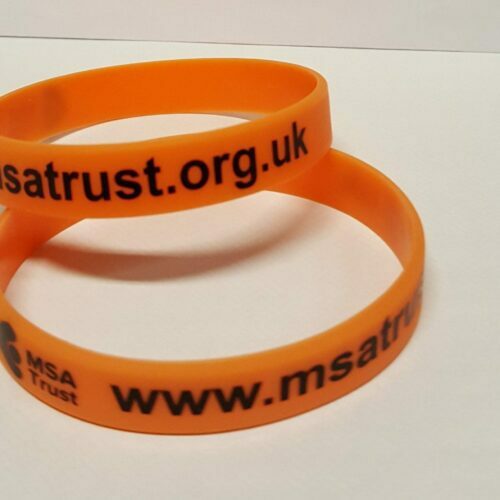 If you would like to order more than 15 of the badges please email fundraising@msatrust.org.uk and we can provide you a price for P&P.